Nottingham City council is planning a wide-ranging PSPO, cracking down on busking, leafleting, begging and charity collection. The council employs over 100 community protection officers, who are notoriously heavy-handed and will make these prohibitions count. You can view the PSPO here, and send your submissions to the council by 3 October. The Manifesto Club response is below. 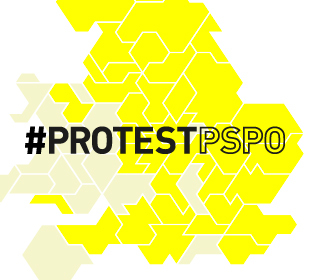 We will be working with the organisation Keep Streets Live, and with local residents, to oppose this PSPO. Here is a response from the Manifesto Club, regarding your proposed draft PSPO. We do not think that it is justified to make it a criminal offence to busk outside of authorised busking locations. These locations are a small proportion of the available and conducive spots for busking within the city, and therefore artificially restrict performance to a few official spots. This stifles creative opportunities for buskers, and also limits the role of music in the street scene of the city. The act of busking outside of official locations is not per se an activity that causes nuisance or harm, which, under the Statutory Guidance on PSPOs, is the required basis for introducing PSPO conditions. We also object to your authorisation of officers to move on a busker if, in their view, the busker is causing an ‘unreasonable disturbance’. There are already statutory nuisance powers to govern noise nuisances; a broader power will give officers carte blanche to move on buskers whenever they feel like it. We note that you seek to ban anybody from making ‘an unauthorised request for money, personal items, charitable and or other donations whether expressly or impliedly requested by conduct’. This would prohibit everything from someone from sitting on a floor and putting out a hat, to people collecting money for a local charity. This restriction therefore entirely prohibits charitable appeal from one citizen to another in the City of Nottingham, unless the council has given its express permission. This is a drastic restriction upon the realm of free civic activity, which will do great damage to the city’s lively culture of political organisations and charitable causes – as well as making it impossible for homeless people to make money in order to eat. Public Spaces Protection Orders should not be used to target people based solely on the fact that someone is homeless or rough sleeping, as this in itself is unlikely to mean that such behaviour is having an unreasonably detrimental effect on the community’s quality of life which justifies the restrictions imposed. Councils may receive complaints about homeless people, but they should consider whether the use of a Public Spaces Protection Order is the appropriate response. Councils should therefore consider carefully the nature of any potential Public Spaces Protection Order that may impact on homeless people and rough sleepers. It is recommended that any Order defines precisely the specific activity or behaviour that is having the detrimental impact on the community. Councils should also consider measures that tackle the root causes of the behaviour, such as the provision of public toilets. We also disagree with your prohibition of the distribution of all free printed matter, without written consent from the council. The current powers to licence leafleting (under the Clean Neighbourhoods and Environment Act 2005) do not allow councils to restrict leafleting that is religious, charitable or political. This is in order to avoid impacting on freedom of speech and public debate. Defra has also advised that councils run exemption schemes for small-scale events, in order that these not be adversely affected. Therefore, government has made it clear that it does not wish to see leafleting unduly restricted. This blanket PSPO condition will prohibit all unlicensed printed communication between residents, which would have a devastating effect on the city’s cultural and civic life. Therefore, we urge you to reconsider and significantly modify your PSPO.